2011 saw The Ocean tour heavily in support of their two 2010 stunning records Heliocentric and Anthropocentric. With such an ambitious accomplishment under their belts, it raised the question over the last few weeks, what will 2012 bring for them? Well the band hinted at something tonight with posting this photo alongside the message “… something new’s on the way …”. 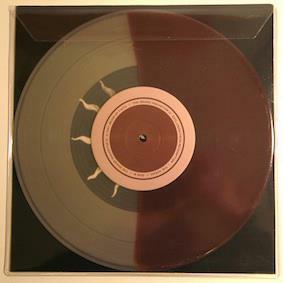 Have a look at the photo; one could make the assumption that the vinyl record is a test press for something that they may release soon. The two colours, for my money, suggest (albeit loosely) that it’s a split release. Whatever it is, I simply cannot wait. Personally, I’d prefer a new full-length but it’s unlikely that is it.